Twelve Reasons Why the Flu Shot Is Dangerous! Every year the pharmaceutical industry, medical experts and the mainstream media work hard to convince us to get vaccinated against the flu. But we're not being told the whole story. 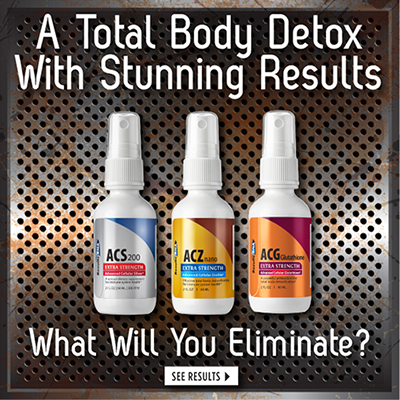 What we don't hear, are the cases about the adverse reactions or about the toxic chemicals being injected into us. The truth is that the flu is the body's attempt to remove metabolic and dietary waste products through the pores of the skin by inducing a fever. The fever associated with the flu is a good thing NOT a bad thing. You can read more about the efficacy of vaccines by reading A Second Thought About Viruses, Vaccines and the HIV AIDS Hypothesis found in Dr. Robert O. Young's book, Sick and Tired. Please read and share the twelve reasons why vaccines, including the Flu vaccine compromises the delicate alkaline pH balance of the blood and tissues and poisons the white blood cells or immune cells. Lack of real evidence that young children even benefit from flu shots 51 studies involving 260,000 children age 6 to 23 months established no evidence that the flu vaccine is any more effective than a placebo. Flu vaccines contain other dangerous or acidic ingredients such as mercury. The pharmaceutical industry, medical experts and the mainstream media are candid in telling us that flu vaccines contain strains of the flu virus. What they are less likely to reveal though is the long list of other ingredients that come with the vaccine. It is now a known fact that flu vaccines contain mercury, a heavy metal known to be hazardous for human health. Mercury toxicity can cause depression, memory loss, cardiovascular diseases, respiratory problems, ADD, oral health problems, digestive imbalances and other serious health issues. The flu shot can cause Alzheimer's dis-ease. Evidence now suggests that flu vaccines can cause Alzheimer's disease. Research conducted by Dr. Hugh Fudenberg, a leading immunogeneticist, shows that those who consistently receive the flu vaccine increase their risk of Alzheimer's disease by 10 fold. He believes this is due to the toxic combination of aluminum and mercury in the vaccine. Additionally, introducing the flu virus to an elderly person (who with age will naturally have a weaker immune system or suppressed immune system because of moderate to mild metabolic acidosis) will only increase the chances of that individual becoming even more acidic leading to more serious illness. The very people pushing flu vaccinations are making billions of dollars each year. In August 1999, the Committee on Government Reform initiated an investigation into Federal vaccine policy. This investigation focused on possible conflicts of interest on the part of the Food and Drug Administration (FDA) and the Centers for Disease Control and Prevention (CDC). The investigation concluded that many individuals serving on two key advisory committees had financial ties to the pharmaceutical companies that manufacture vaccines. Often, these individuals were granted waivers to fully participate in the discussions that led to recommendations on vaccine licensing and adding vaccines to the Childhood Immunization Schedule. This in itself creates serious doubt as to how effective flu vaccines really are. The flu vaccines actually do not immunize but acidifies the body with toxic acids that cause disease. Have you ever noticed how vaccinated children get sick almost immediately following a vaccination? This is because the flu virus is a strong acid that affects the delicate alkaline pH balance of the body fluids. So rather than immunize, the flu shot actually acidifies the body creating the flu symptoms it was designed to prevent. And the fact that it causes individuals to get ill following a shot indicates immuno-suppression and severe chemical poisoning (i.e. lowering of the immunity). The flu vaccine increases the risk of respiratory acidosis that leads to pneumonia (an acidic condition). For someone with an already suppressed immune system, injecting strains of a toxic acidic flu virus can have devastating consequences. If your body is already working to eliminate metabolic and dietary acids or simply operating with low immunity, a poisonous acidic vaccine injection could put your body in serious danger of influenza with stronger symptoms, or even worse pneumonia and other acidic dis-eases. Vascular disorders. Medical research shows flu shots are associated with an increased risk of vascular inflammation or respiratory acidosis. Symptoms include fever, jaw pain, muscle aches, pain and stiffness in the neck, upper arms, shoulder and hips and headache. Children under the age of 1 are at risk. Children under 1 years of age are highly vulnerable to a neurotoxic or metabolic acid breach of the delicate nerve center surrounding the brain and central nervous system. 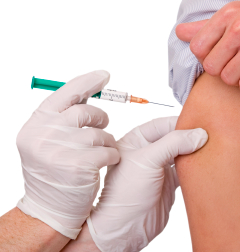 The first round of the flu vaccine is administered at age 6 months. A child under the age of 1 lacks sufficient alkaline protection to guard against premature acidic damage to the blood barrier in the brain. Increased risk of narcolepsy. There have been dozens of reported cases of children in 12 different countries who have developed narcolepsy (a chronic sleep disorder) after receiving the flu vaccine. The study, which took place between October 2009 and the December 2011, compared 3.3 million vaccinated Swedes with 2.5 million who were not vaccinated. The risk was found to be highest among the youngest people who took the vaccines. For those under the age of 21, the risk of developing narcolepsy was three times higher. Weakens immunological responses. There have been literally thousands of medical journal articles published that show injecting vaccines can lead to harmful immunological responses and a host of other infections. Moreover, weak immunological responses only decrease a person's ability to fight acidic dis-eases that the vaccine was supposed to protect against in the first place. Serious neurological disorders. Evidence now suggests that the ingredients in flu vaccinations can actually cause serious neurological disorders. In 1976 a significant number of those who received the flu vaccine acquired Guillain-Barré Syndrome (GBS), a disorder characterized by permanent nerve damage and even paralysis caused by acidic vaccine chemicals. Flu vaccines can contain many harmful acidic materials including detergent, mercury, formaldehyde, and strains of live crystallized flu virus. The flu is not a disease but a condition of acidic wastes that have not been properly eliminated through urination or defecation so the body is depositing these acidic wastes into the connective tissues causing the symptoms of inflammation and pain.